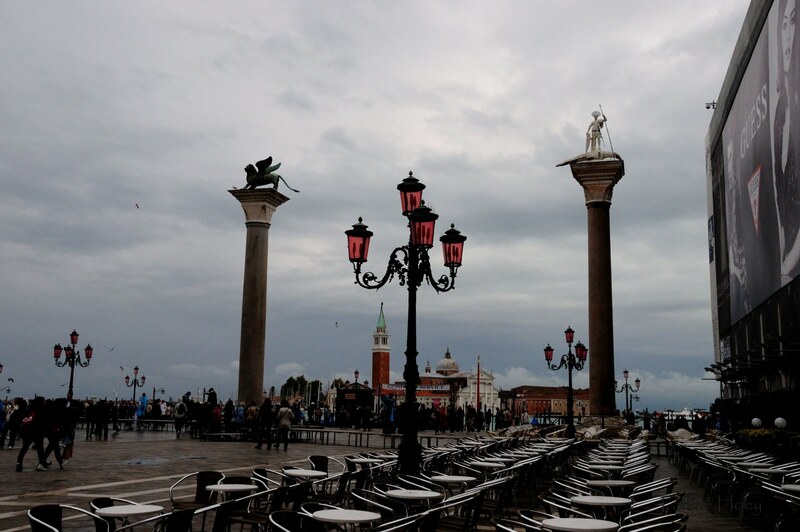 The first morning in Venice something wonderful happened!! 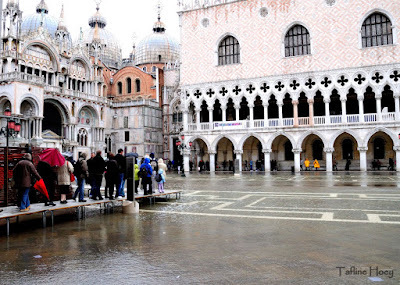 I got to experience acqua alta. The two photos below are pretty badly done - but really you try taking a decent shot while shuffling along on the raised platforms. This flooding happens about 80 days out of the year and we just happened to be there on one of the days that it happened. What is really interesting about this phenomena is that the worst flooding happens in the Piazza St. Marco (one of Venice's most treasured sights). So you walk along these raised platforms the city council - or whatever the equivalent is - put out before the day starts. 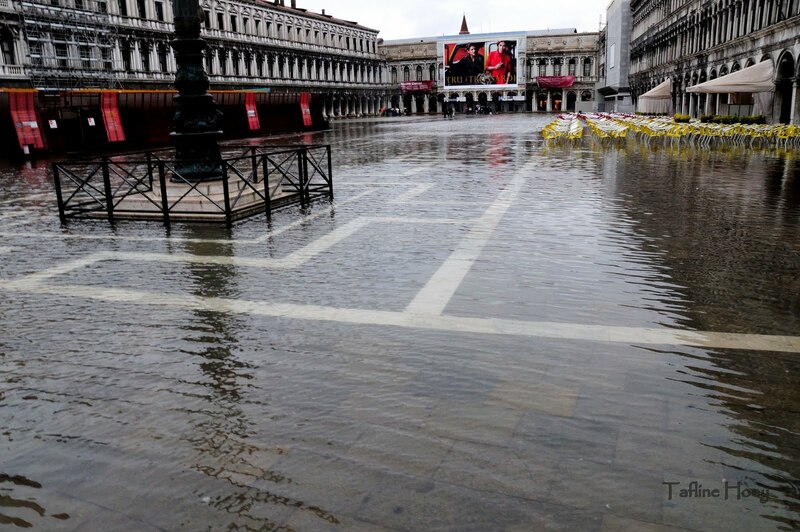 The other exceptional part of this whole process is that there are a multitude of shops that continually get flooded! The workers roll up the rugs and place all the merchandise on the higher selves every time this happens. It is simply an excepted way of life. 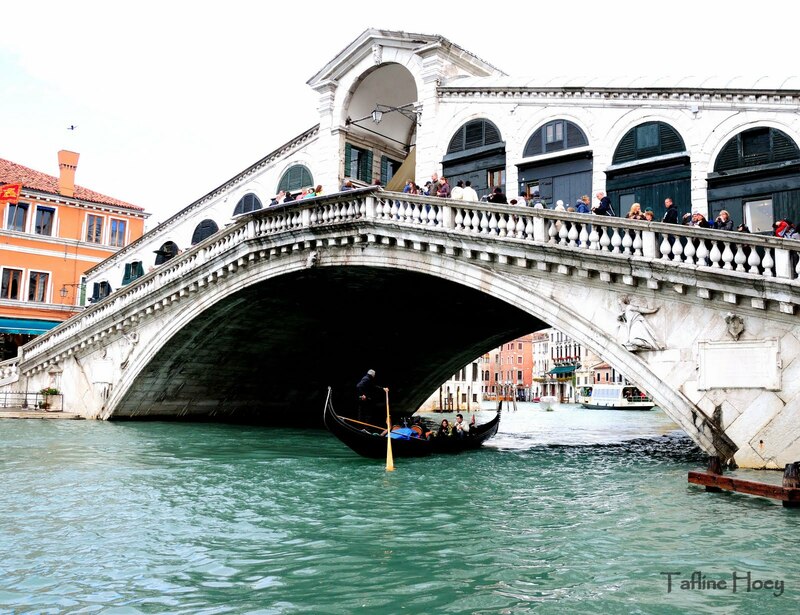 We had some free time in Venice so mum and I decided to make our way to the Rialto Bridge. Half the fun was getting there!! 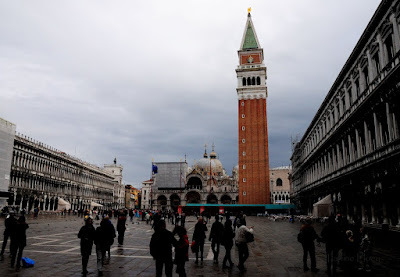 We went far off the beaten tourist track and got to see a lot more of Venice than your average tourist. It was a blast!! When we got there it was worth the adventure. 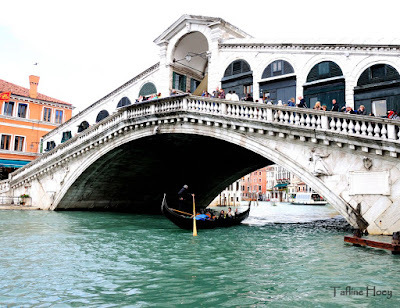 I managed to get a snap of a gonadal going under the Rialto Bridge. You can't get more picture perfect than that! Wandering back to meet up with the rest of the group we got a magnificent view of the Piazza St. Marco. There was restoration work going on but our guide informed us that there is always scaffolding up as it's a never ending effort to up-keep the Piazza. I still think it looked pretty wonderful. Venice is famous for a great many things. One of them being Venetian glass - particularly Red Venetian glass. They even have it in their street lamps! I'm told that on a foggy day they cast the whole city into a pinkish hue. Now that's something I'd love to see. 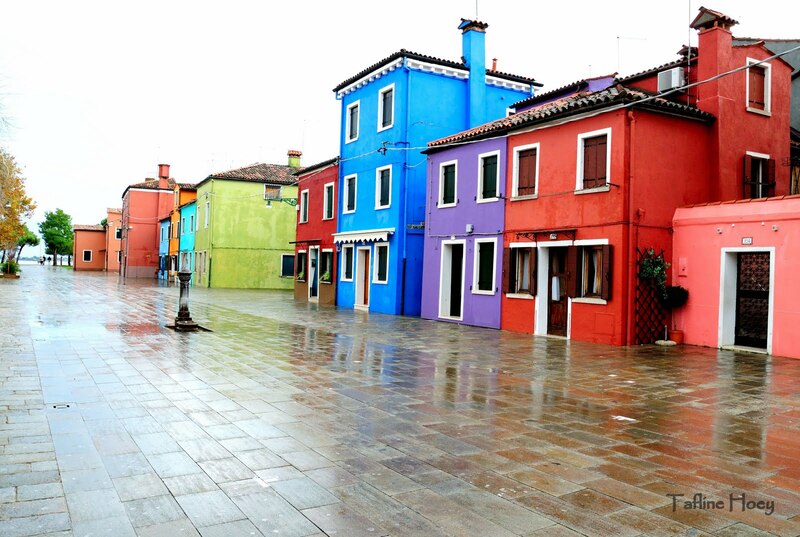 That afternoon we made our way to the island of Burano. This island is a world-heritage listed fishing village know for its intricate lace work. But what I loved about the island was the brightly colored buildings which match the sails of the fisherman's individual boats. It was a way for the women of the village and the men that had been out to sea to know that they were almost home. It was just lovely looking at all the brightly colored buildings. I would imagine it would have made a welcome sight of home. It is a charming village that I think should be on everyone's must see list! 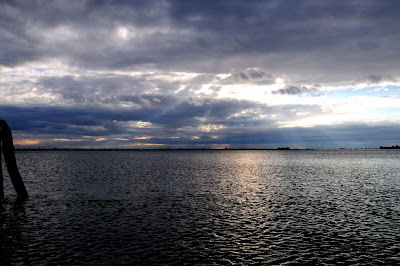 Our day in Venice was the only rainy day we had all tour but after we lunched in Burano the rain began to lift providing beautiful pictures of sunlight streaming through the clouds. I was in photographer's heaven. The next photo is one of my favorites. 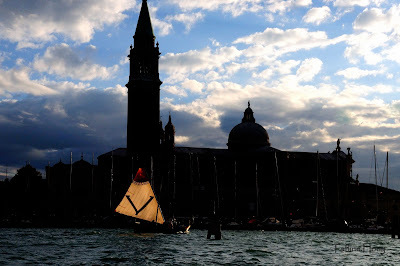 On the boat ride from Burano back to Venice we pasted a small traditional sail boat with its sails filled with wind and sunshine. The perfect way to say goodbye to Venice. Coming up next we head for Rome!